Separating fact from fiction in Iran’s turbulent political landscape is no easy feat. The regime floods state-sponsored media outlets with disinformation. The international free media is forced to walk a tightrope. It cannot risk angering the regime or its journalists will be harassed or have their visas revokes. There are, therefore, few outlets to find reliable information. It is this suppression of free information that is driving the Iranian population to the brink of revolution. The mullahs’ repressive policies are creating a buildup of pressure within Iran. The whole political landscape could explode at any moment. 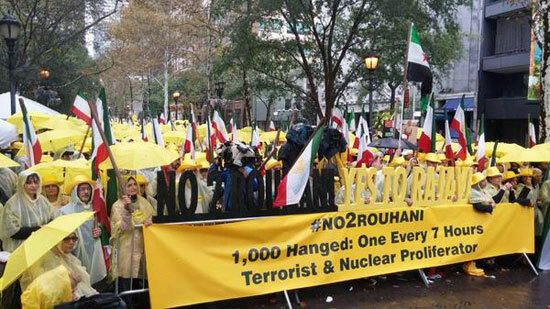 Regime President, Hassan Rouhani’s recent visit to New York was a particularly contentious issue. He traveled to the city last week for the United Nations General Assembly, during the same week President Trump chaired the UN Security Council’s meeting on Iran. In the state-run press, articles suggested that the two presidents were on course for conflict. The Ebtekar Daily wrote, “Tehran and Washington are on the verge of a direct confrontation”, adding, “this might be the underlying factor for many unexpected events in the future”. There were also attempts in the state-run media to blame President Donald Trump’s speech for the continued decline of the rial. Armin state-run daily wrote, “Donald Trump severely attacked Iran’s leaders in his speech, accusing them of carrying out crimes and massacres in the region… which will have alarming consequences”. The Iranian regime has frequently attempted to portray America as an international villain and the root of all Iran’s problems. Since 1978, state-run media outlets have broadcast stories referring to the global superpower as “the great Satan”. So, how do we separate fact from fiction? Despite what the state-run media says, the Iranian regime is to blame for the deepening economic crisis in the country. The regime has systematically looted Iran’s institutions, funneled money to fund foreign wars, and ploughed funding into missile programs. Instead of using the funding released from the Iranian nuclear deal in 2016 to help the Iranian population, the mullahs used it to hold the population hostage. It used it to clamp down on political dissidents, plot terror attacks, and expand its espionage network abroad. 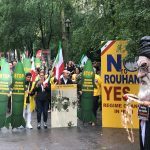 Although the US government has reinstated sanctions against the Iranian regime, many European heads of states have been reluctant to follow suit because of the increased economic pressure sanctions could put on the Iranian population. The Iranian people are being held as the mullahs’ hostages to prevent European nations from adopting anti-Iranian policies. The US has made it clear that its goal is not to cause increased economic disruption to the Iranian people. Secretary of State Mike Pompeo outlined his government’s objectives in a recent report. Far from “the great Satan”, the US wants to help the Iranian people. It sees a regime dragging its people towards economic ruin, abusing their human rights, and silencing the political opposition. It also acknowledges that if the Iranian regime was going to change, it would have done so already. It knows that the mullahs’ regime will not stop abusing its population, warmongering in the Middle East, and carrying out acts of international terrorism of its own accord. The only way to stop the mullahs and bring freedom to the Iranian people is through regime change.